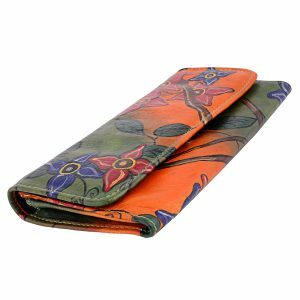 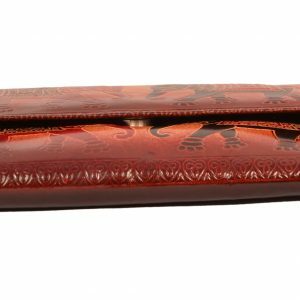 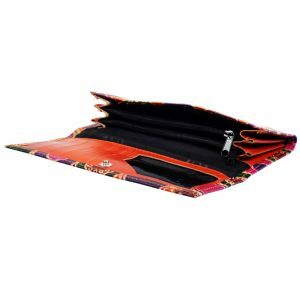 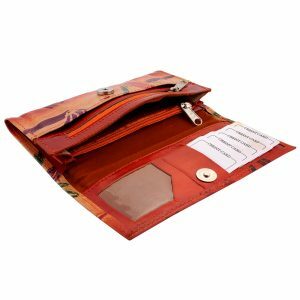 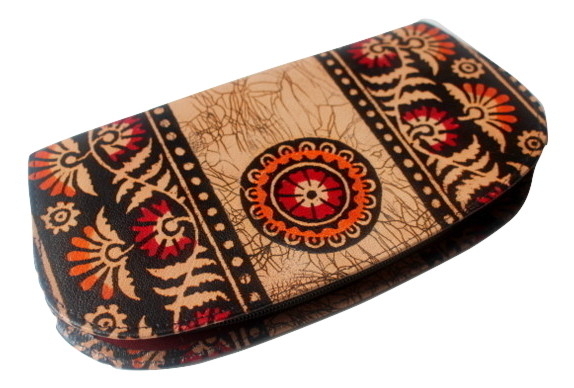 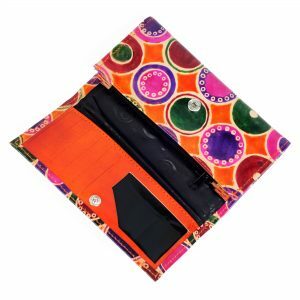 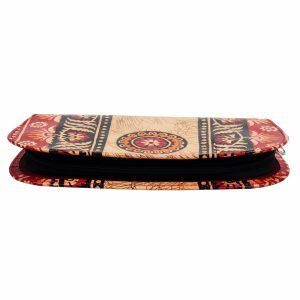 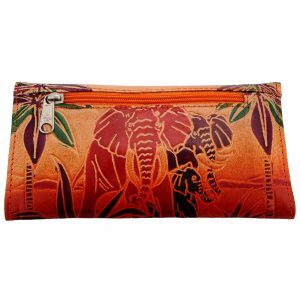 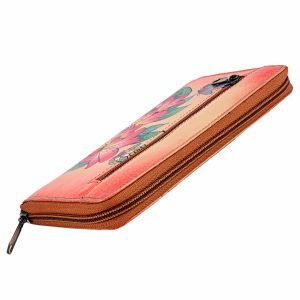 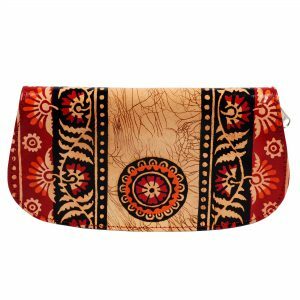 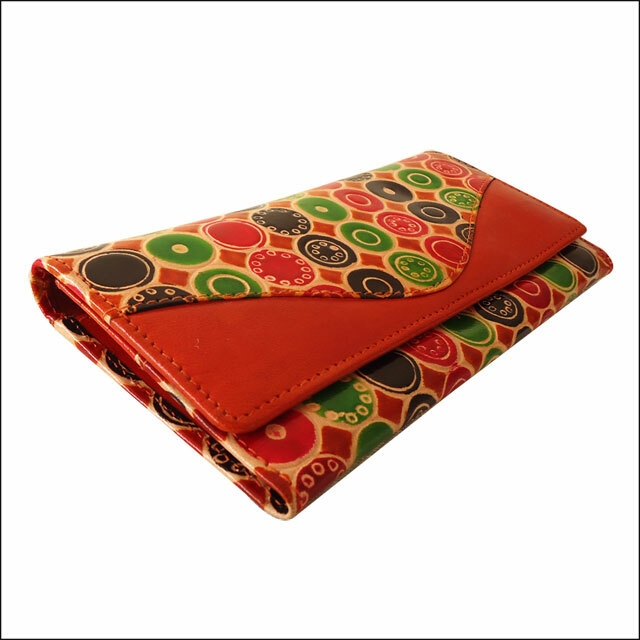 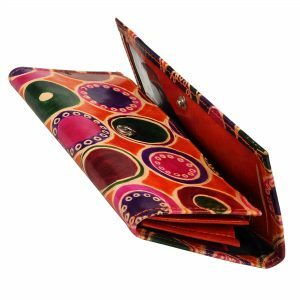 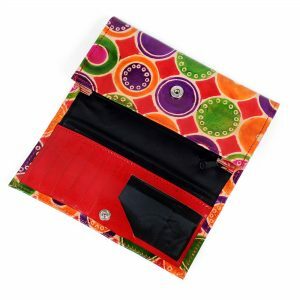 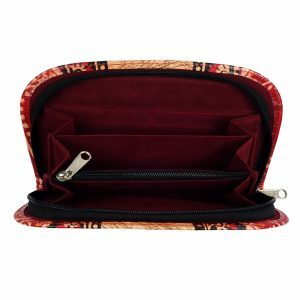 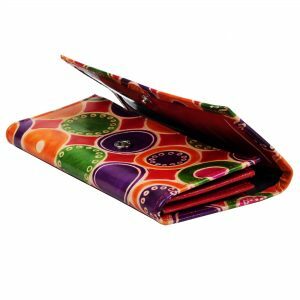 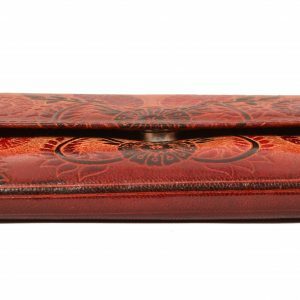 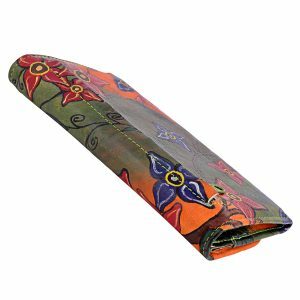 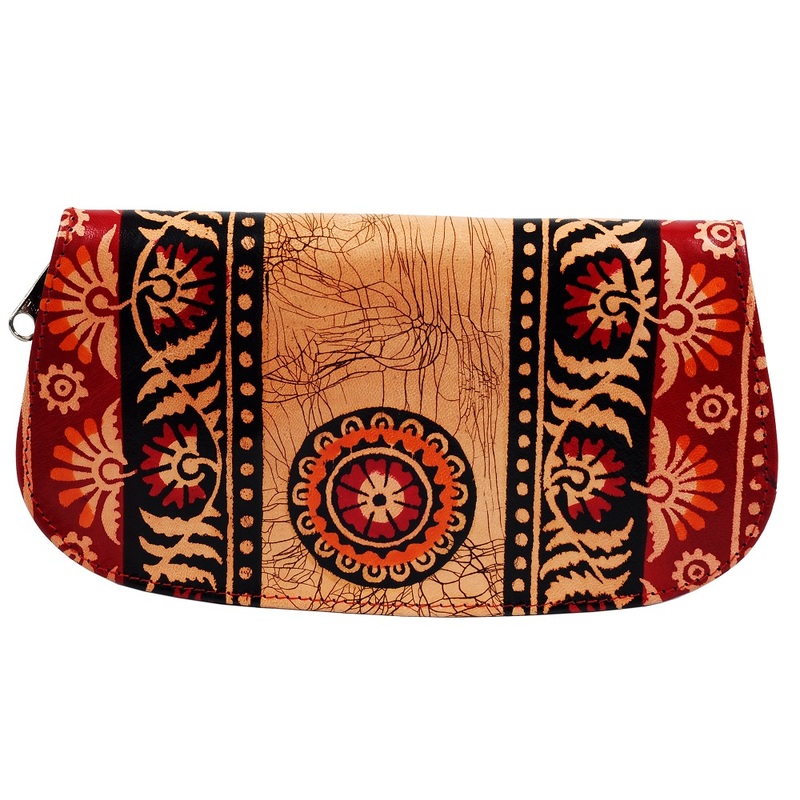 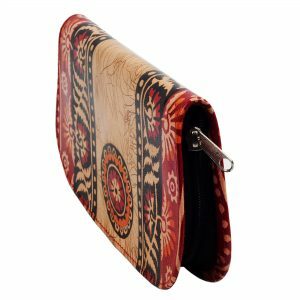 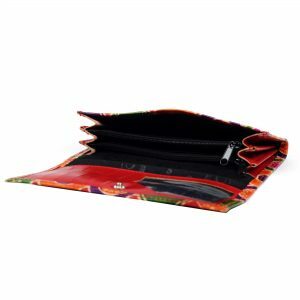 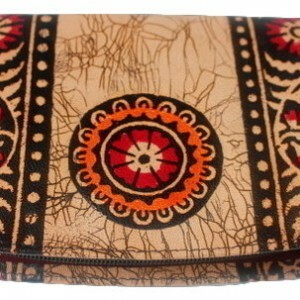 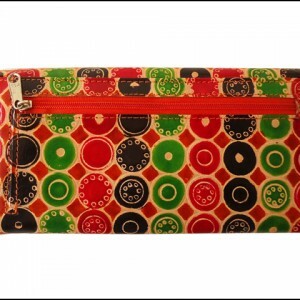 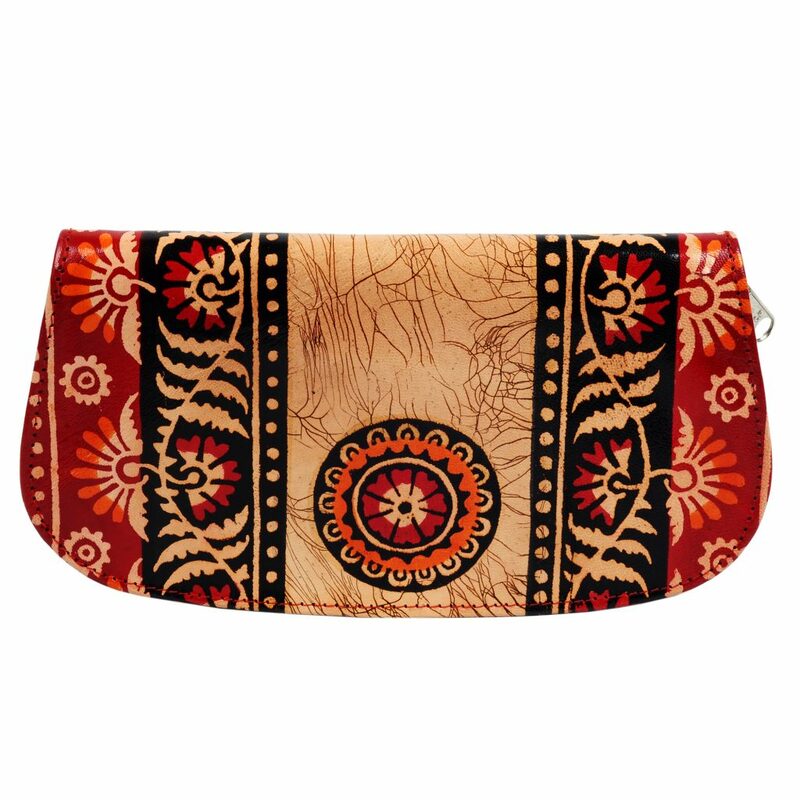 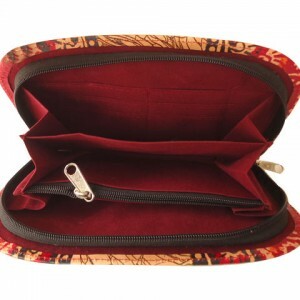 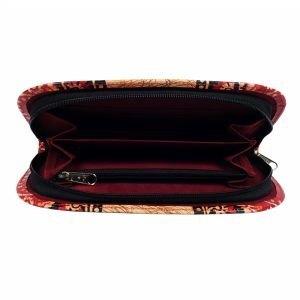 Handmade, batik design Indian Shantiniketan Women’s Wallet / Clutch Purse made from 100% genuine leather. 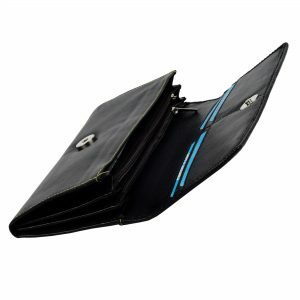 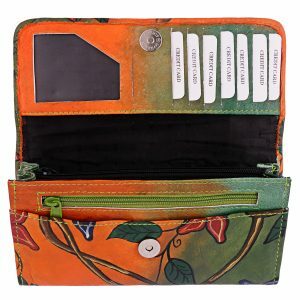 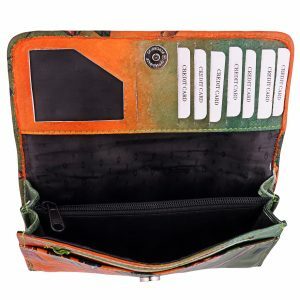 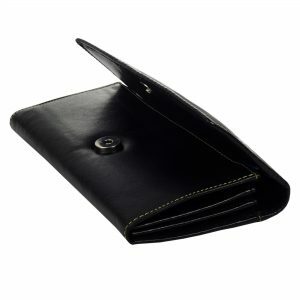 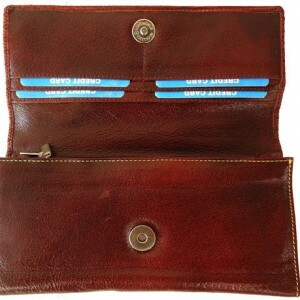 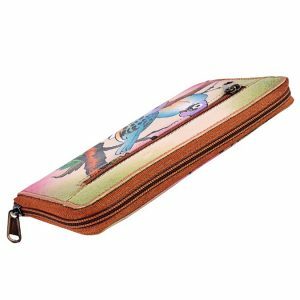 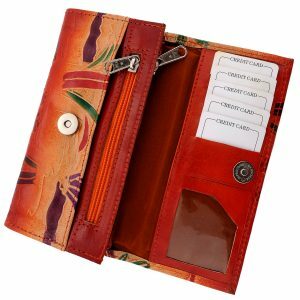 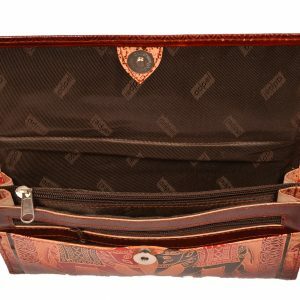 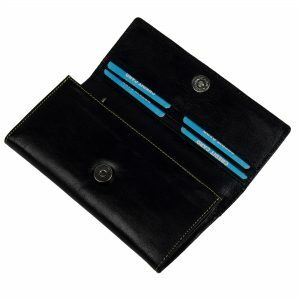 Features card slots and multiple compartments. 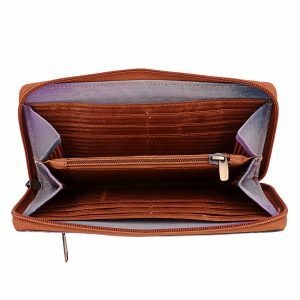 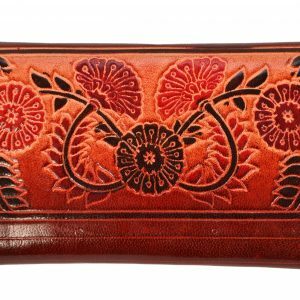 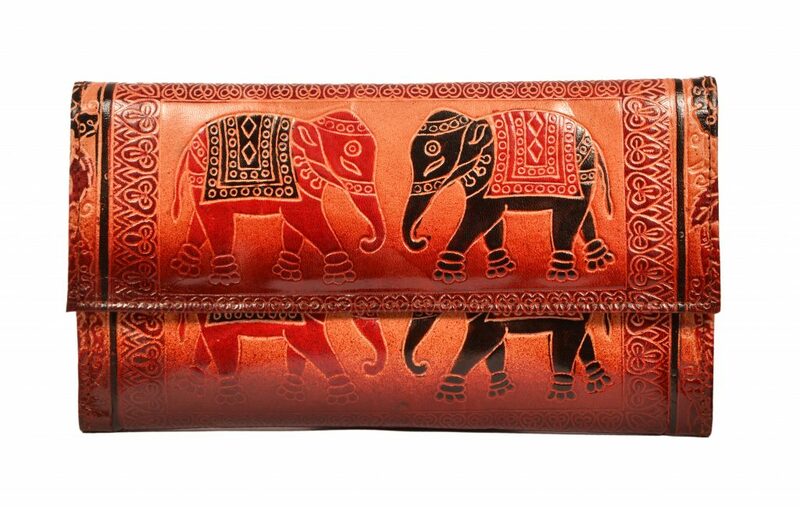 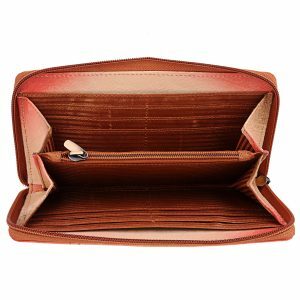 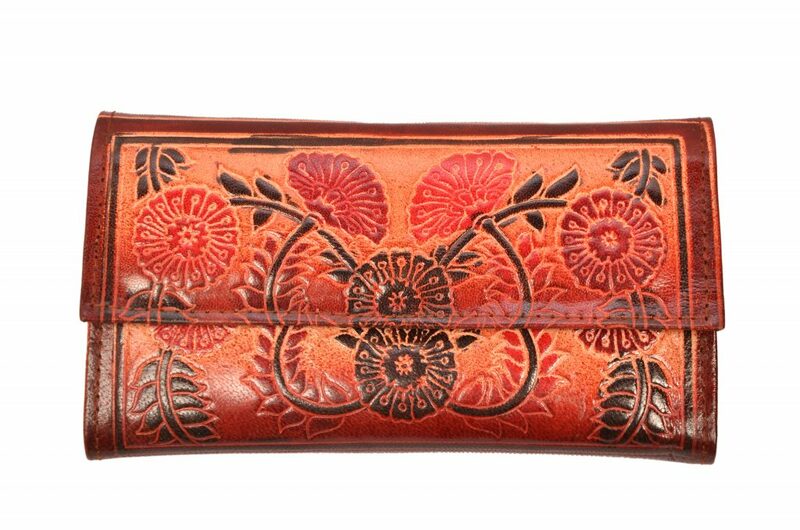 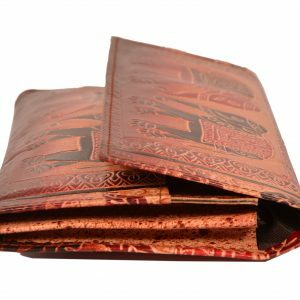 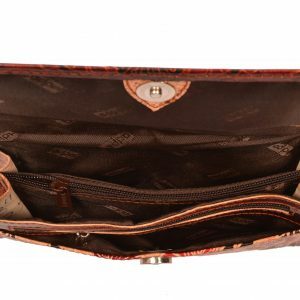 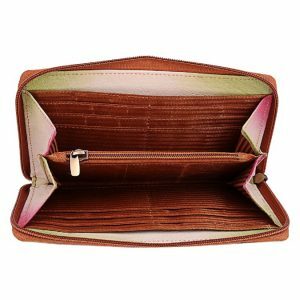 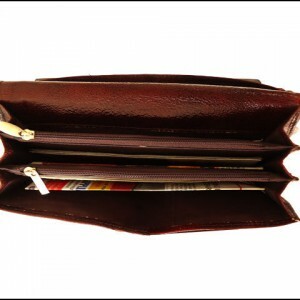 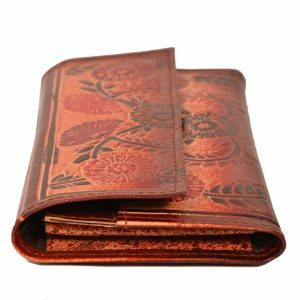 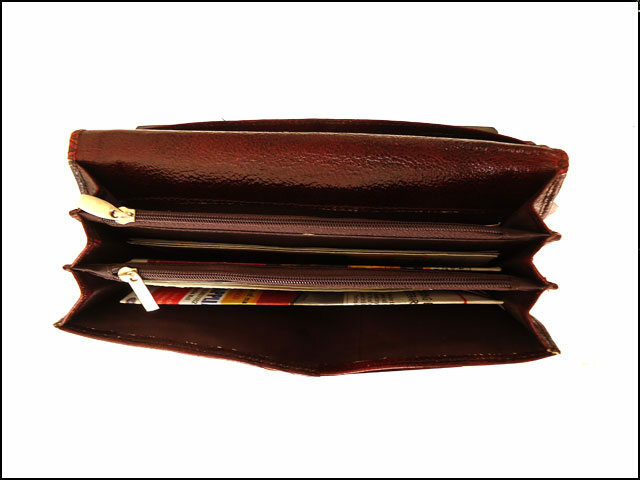 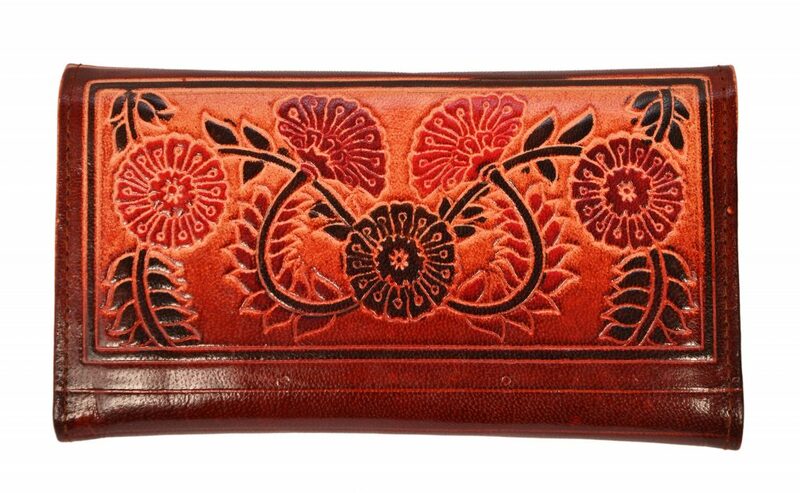 This is a handcrafted, hand tooled, brown colored women’s wallet / clutch purse / bag made from 100% genuine leather. 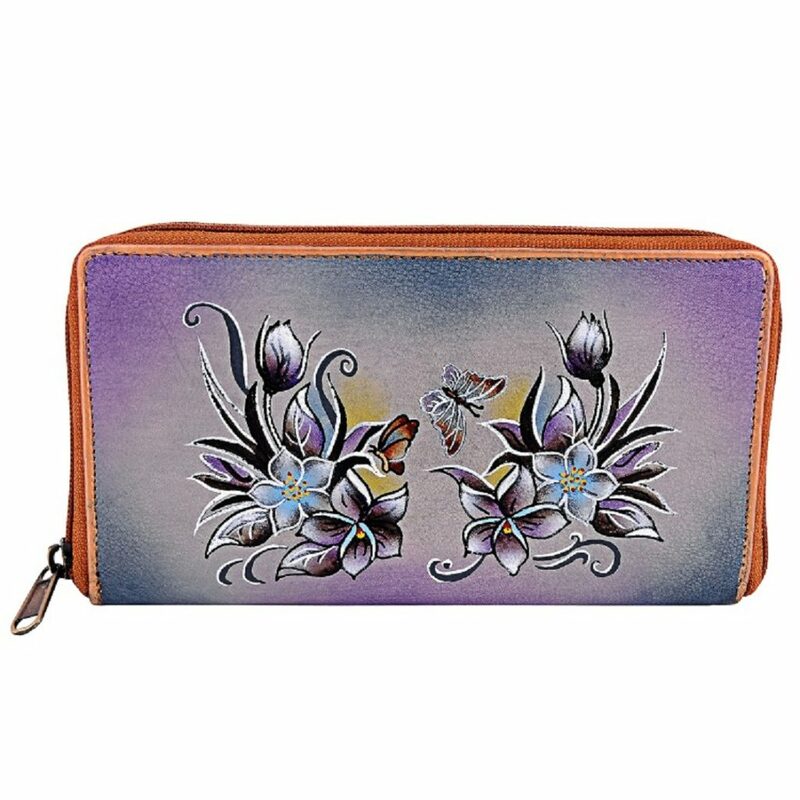 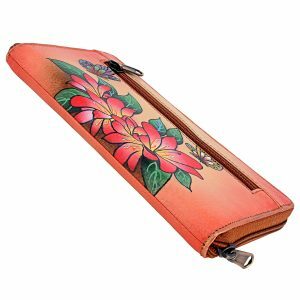 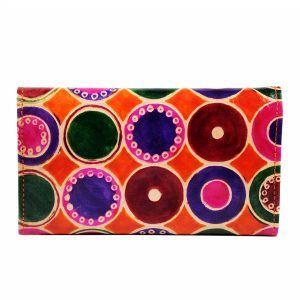 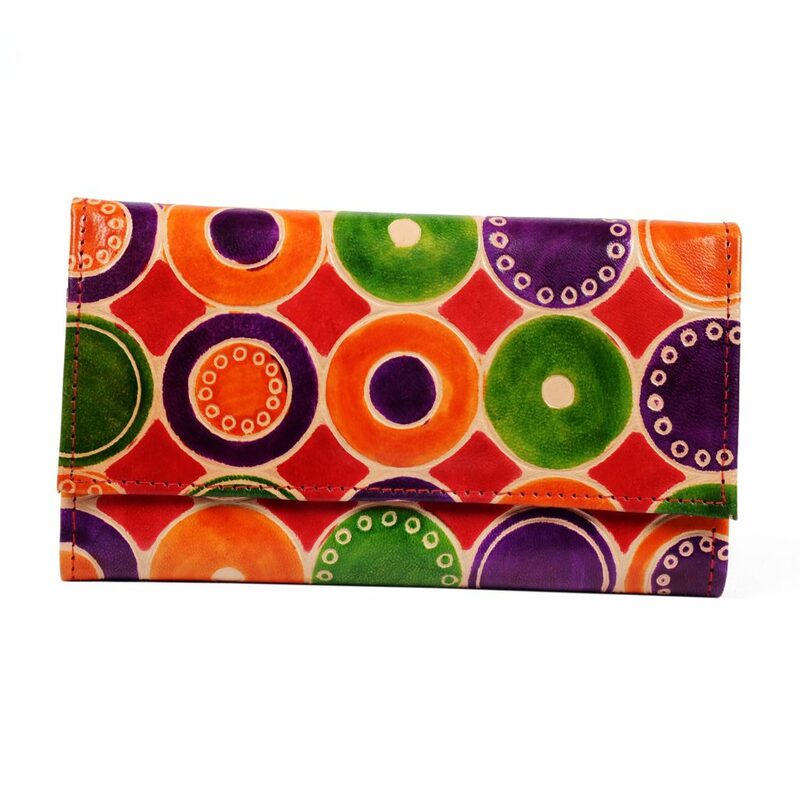 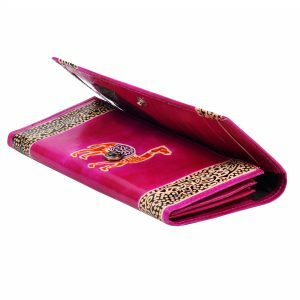 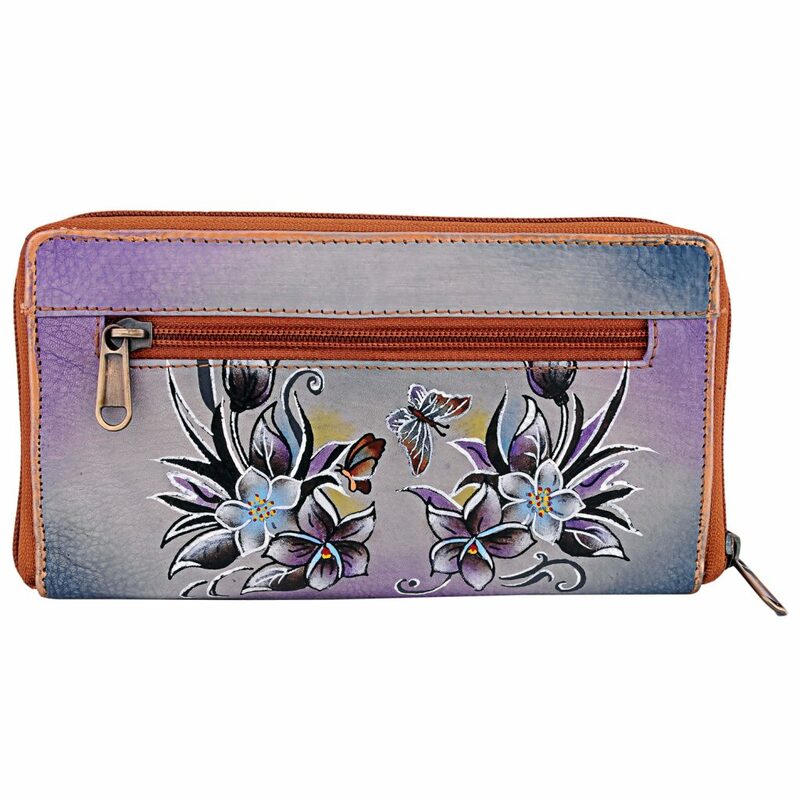 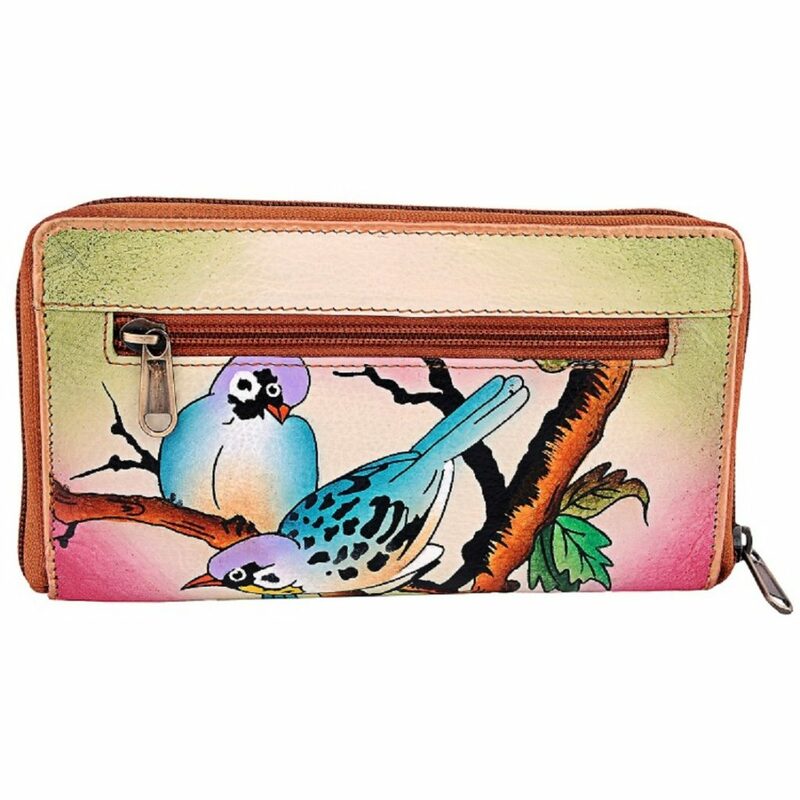 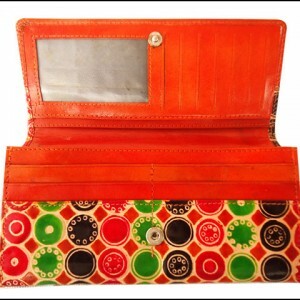 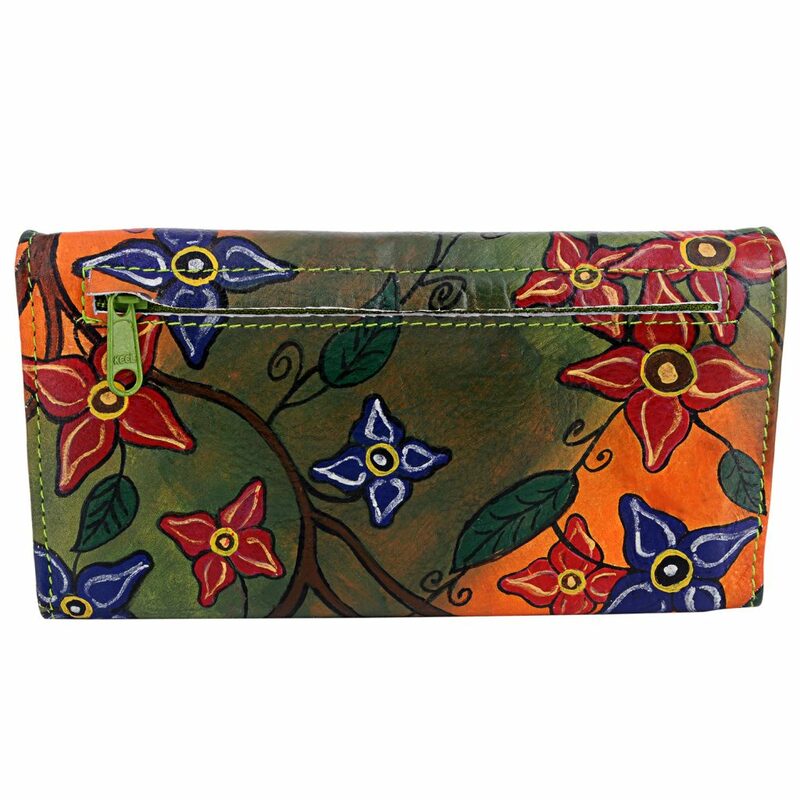 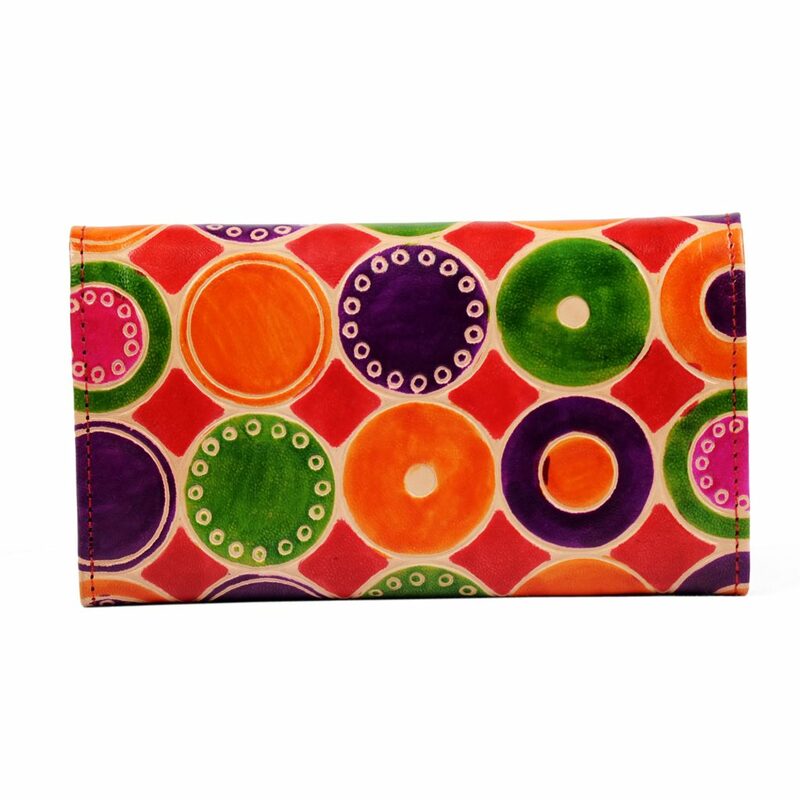 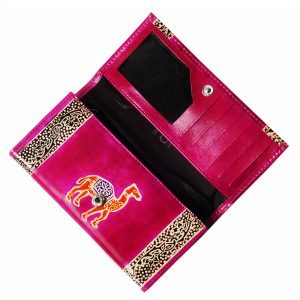 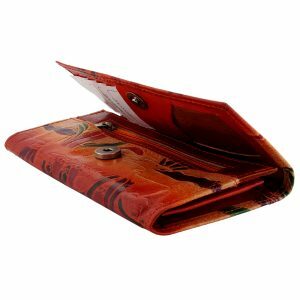 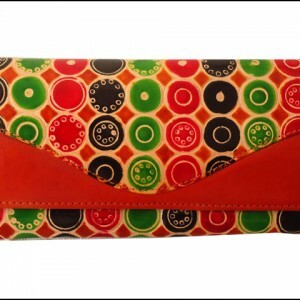 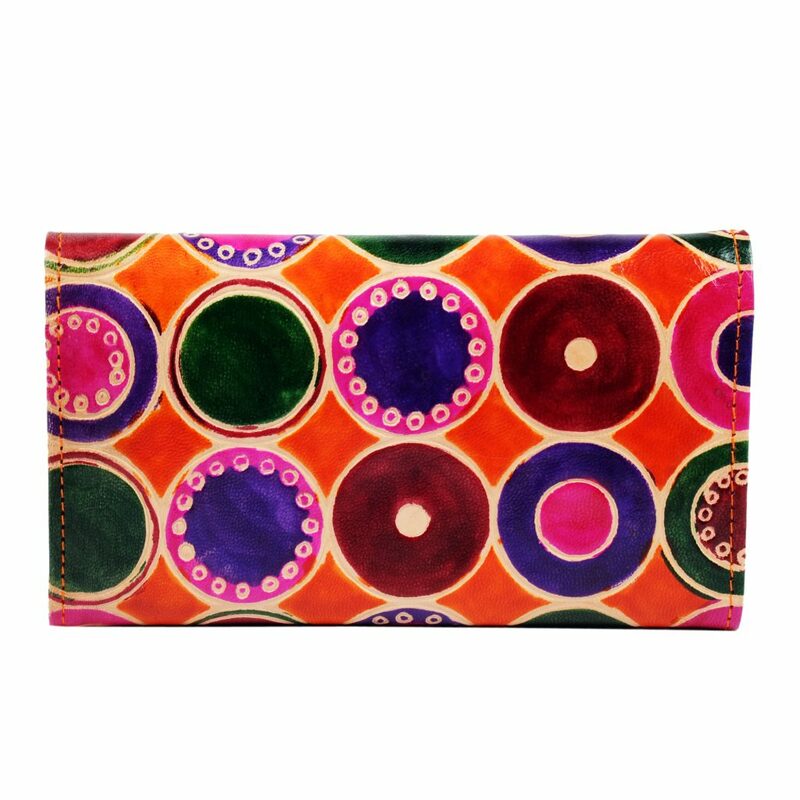 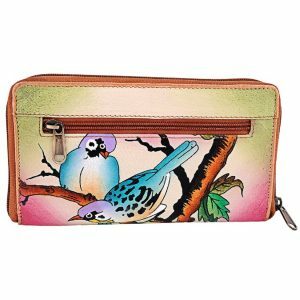 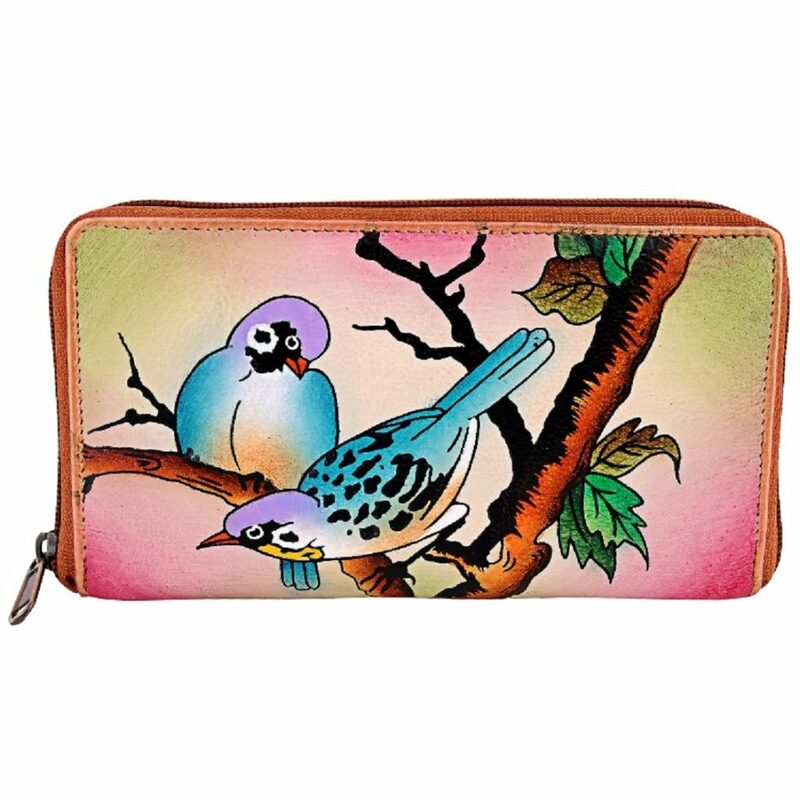 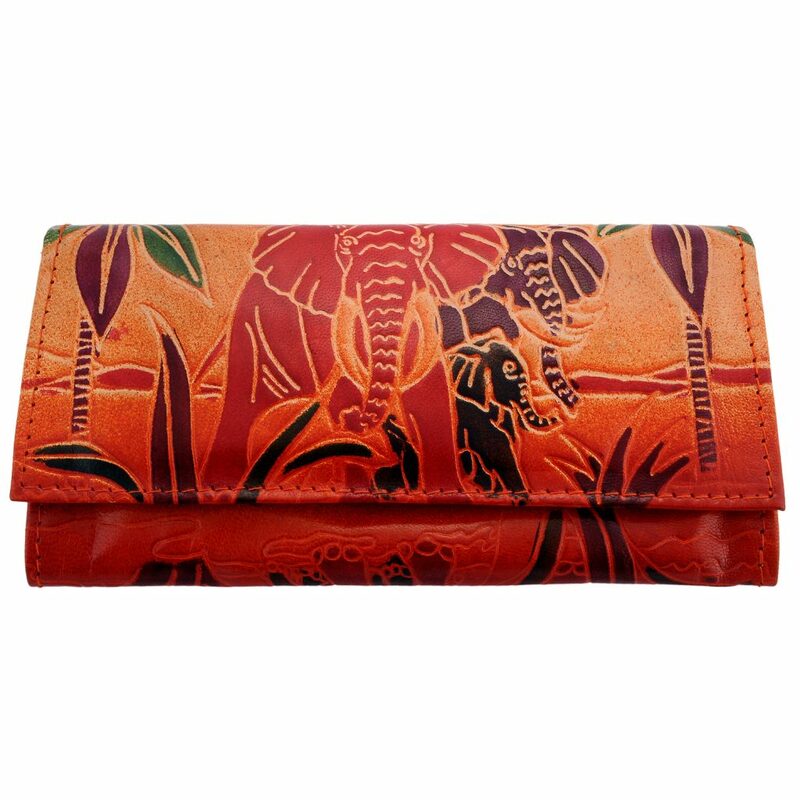 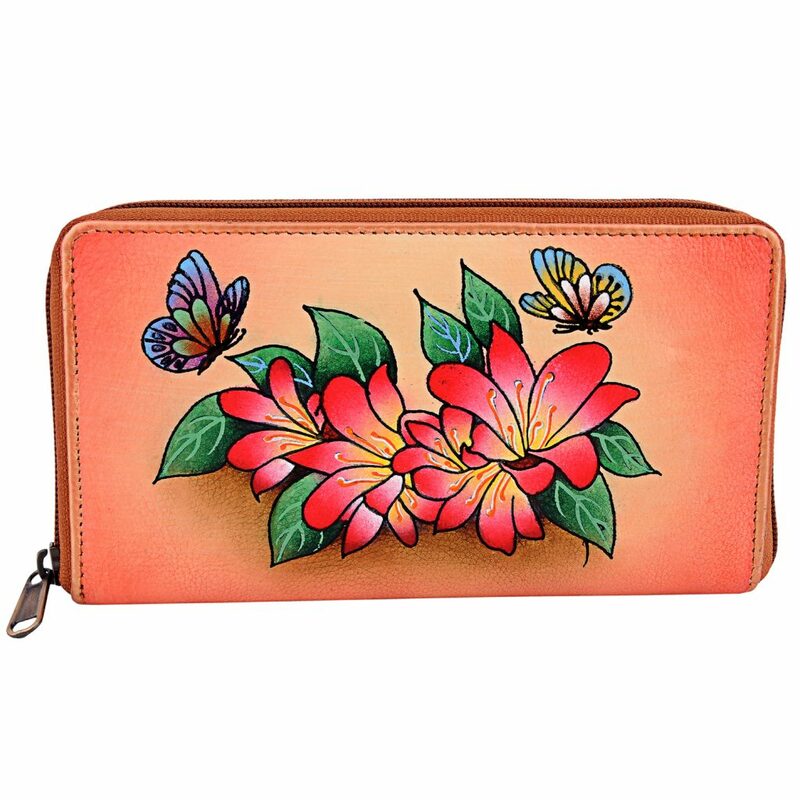 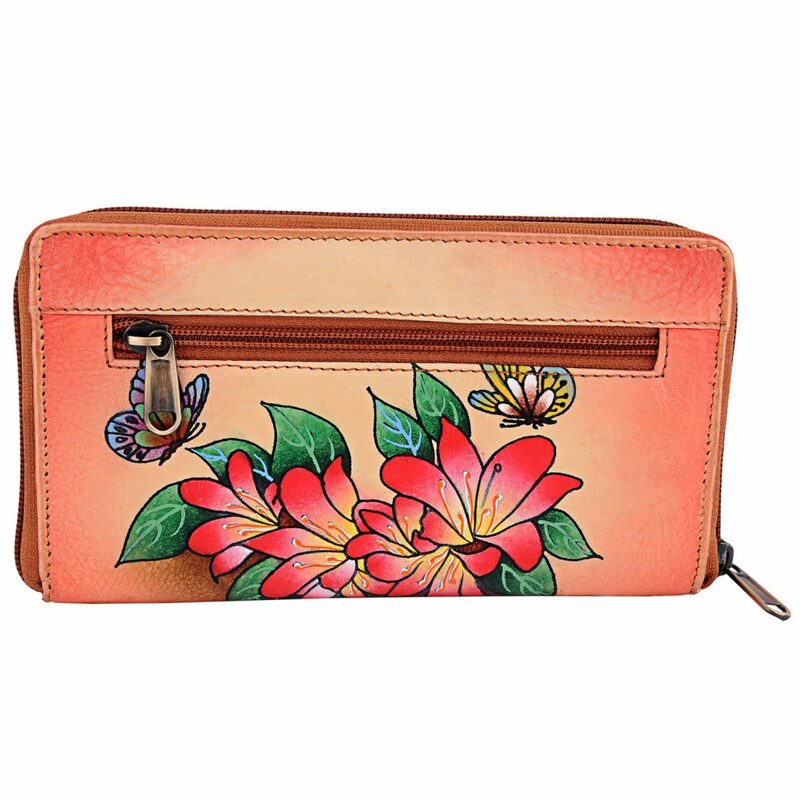 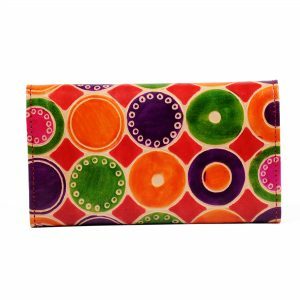 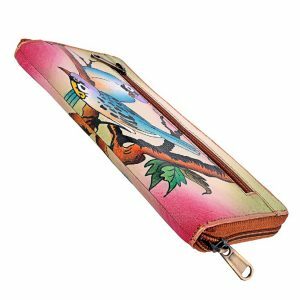 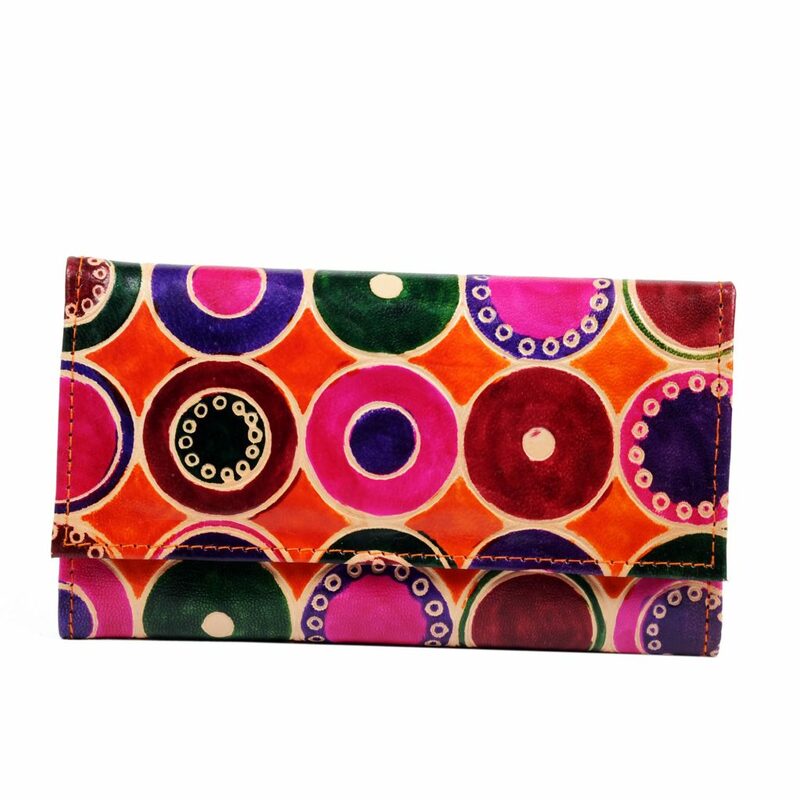 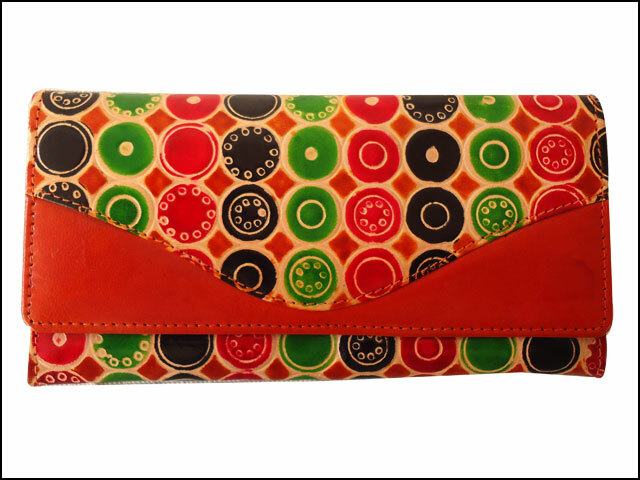 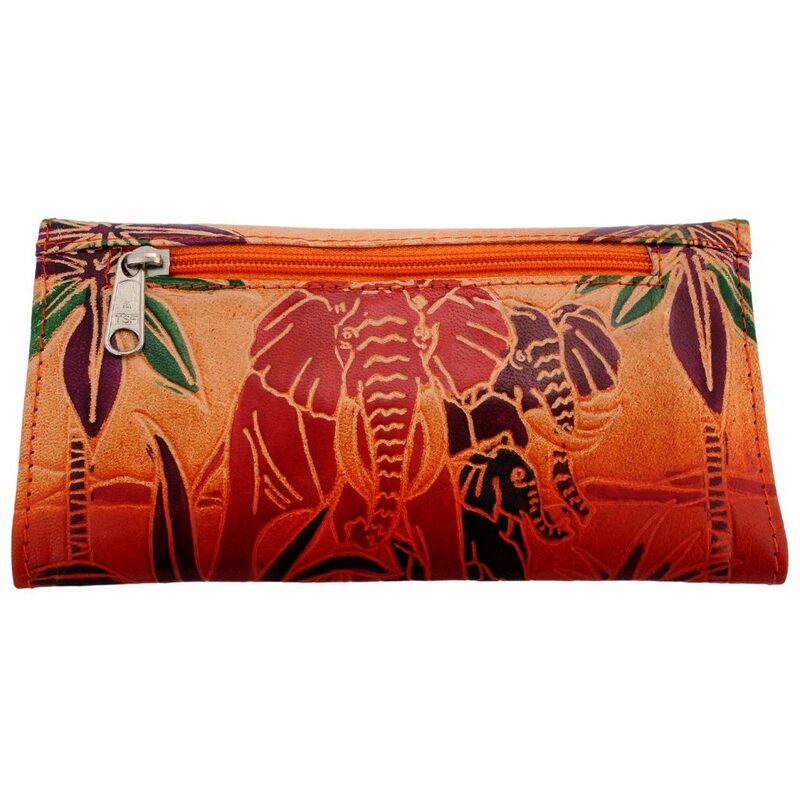 This is a handmade, hand painted Women's Wallet / Clutch Purse / Card Holder made from 100% genuine leather. 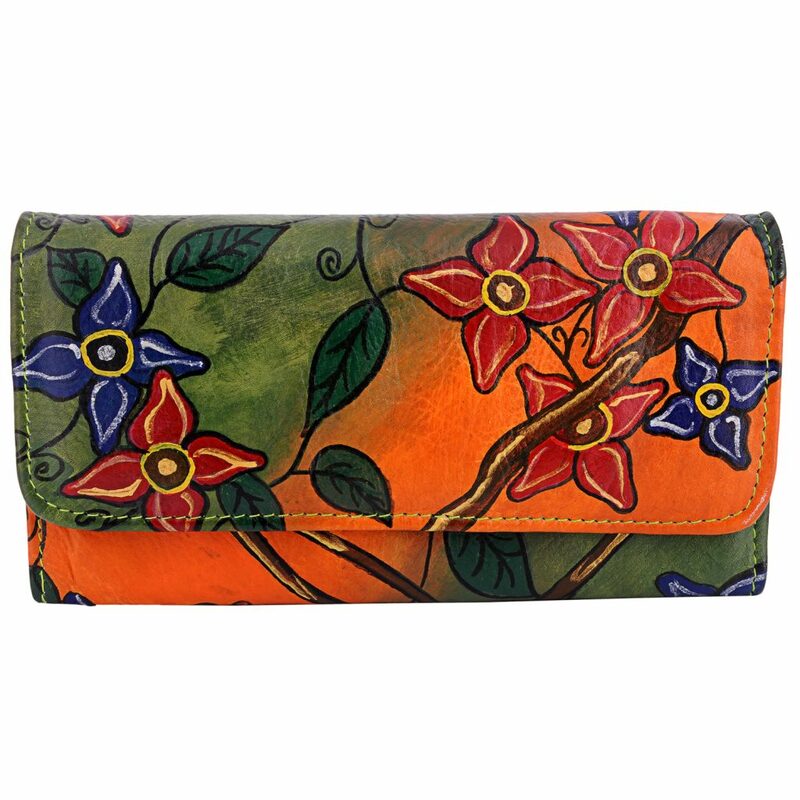 This is a handmade, hand painted Women's Wallet / Clutch Purse / Card Holder made from 100% genuine leather. 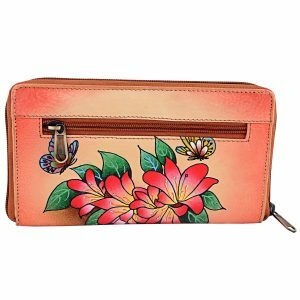 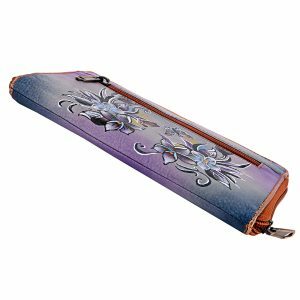 It has bright floral pattern painted on both sides. 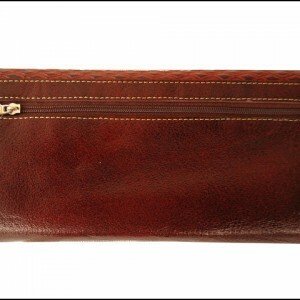 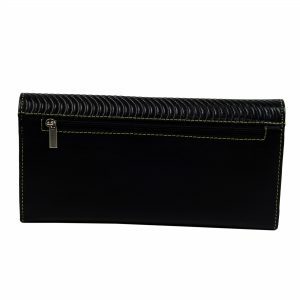 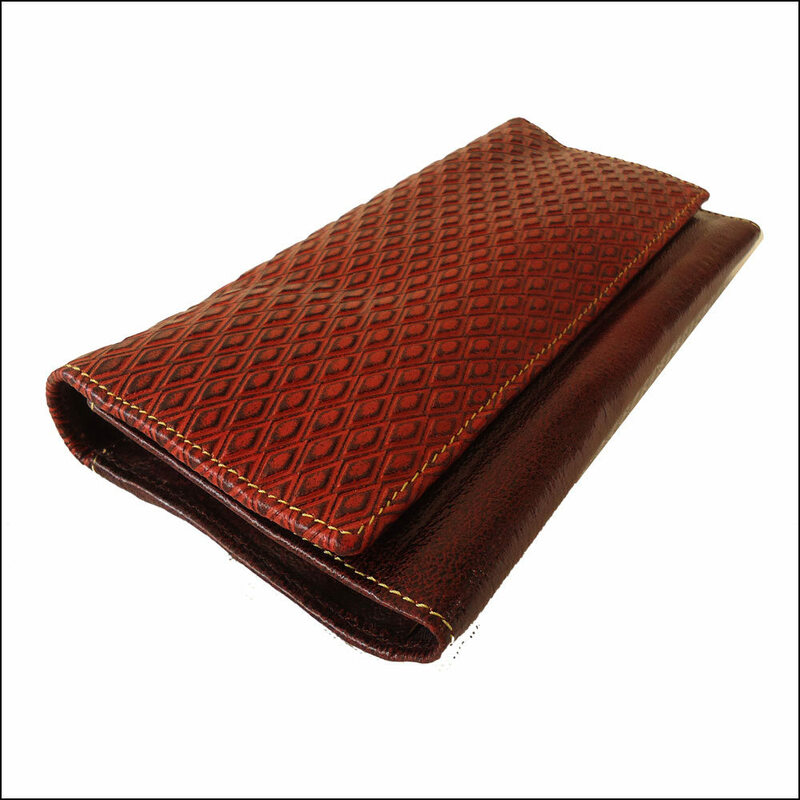 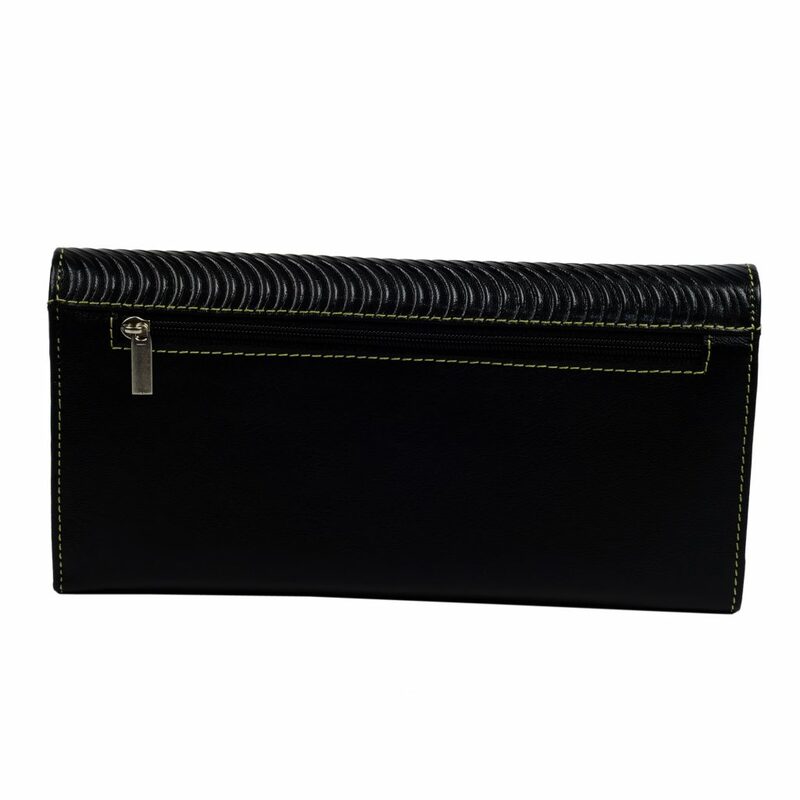 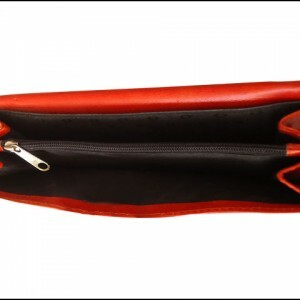 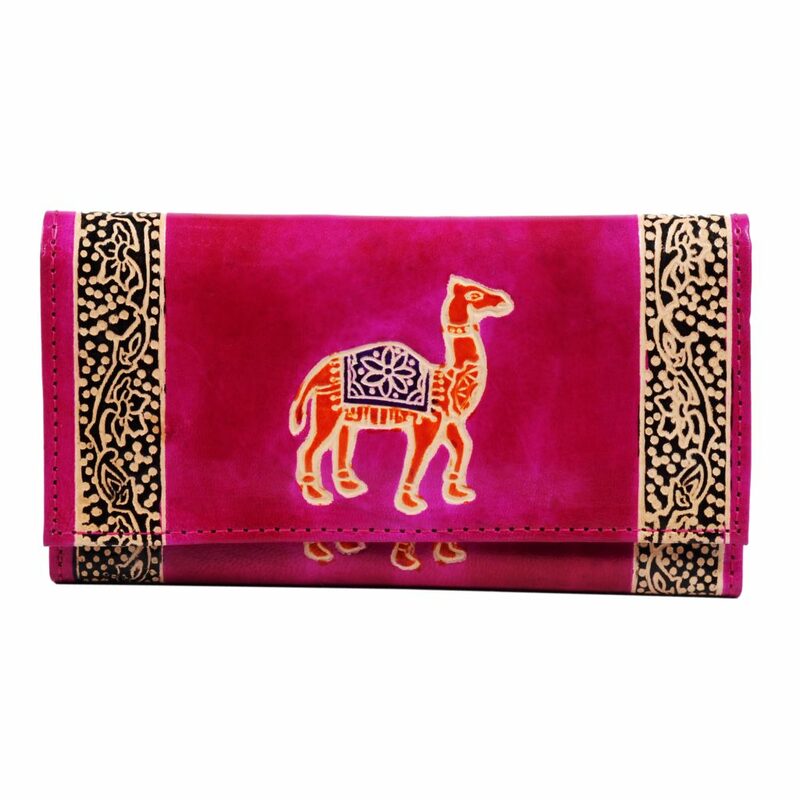 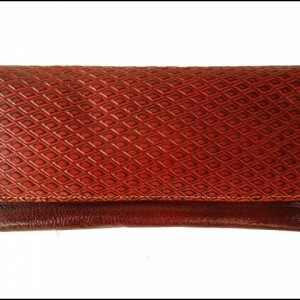 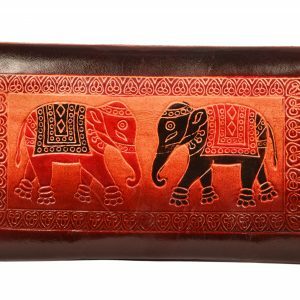 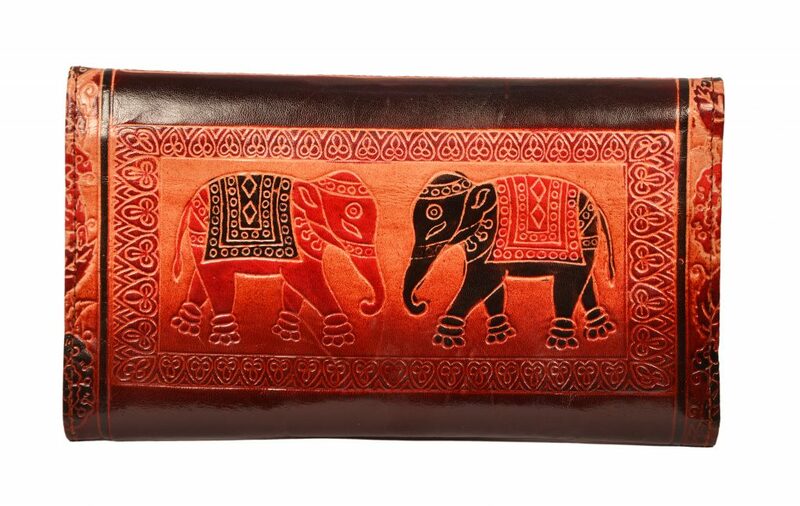 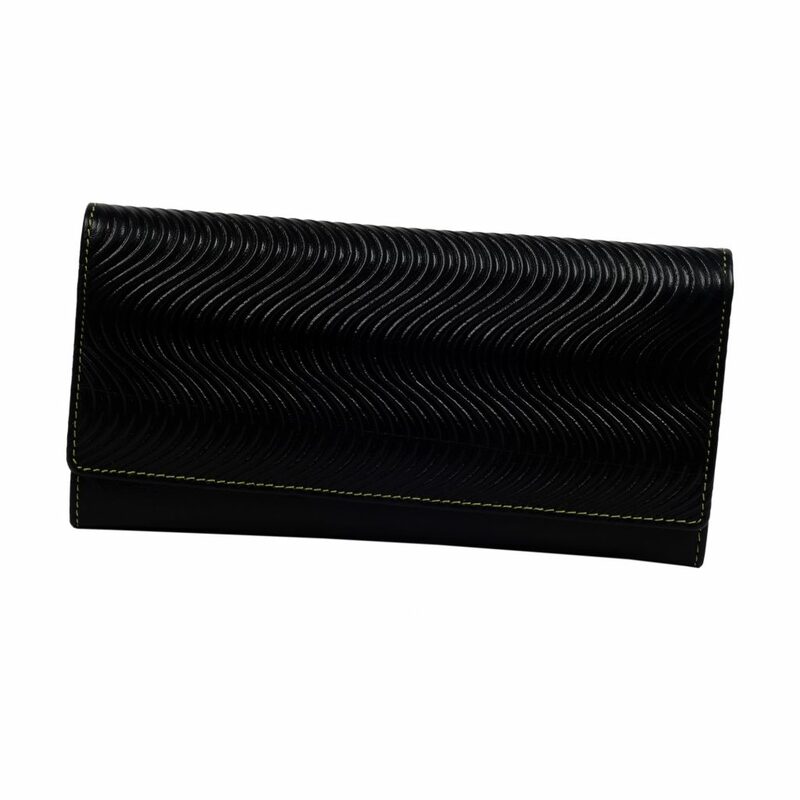 This elegant handmade Women’s Clutch / Purse is made from 100% genuine full grain goat leather. 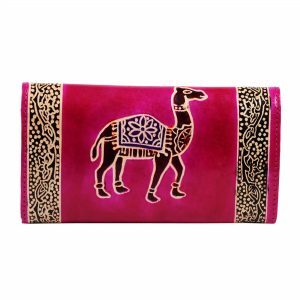 This elegant handmade Women's Clutch / Purse is made from 100% genuine full grain goat leather.